Respiratory Therapists of the Year were honored by outgoing NSRC President Sheri Trindle. Winners were, from left: Melissa Gulizia, Adam O'Brien and Lisa Fuchs. Respiratory Therapists of the Year and scholarship winners were announced at the NSRC's annual conference in April. Lisa Fuchs MHA, RRT, CHWS, Omaha region. Melissa Gulizia BS, RRT, Lincoln region. It is time again to nominate an outstanding respiratory colleague for The 2018 NSRC Therapist of the Year Awards. Deadline for nominations is April 6. The NSRC is looking for nominations from three regions in Nebraska: Omaha, Lincoln, and Out State Nebraska. Members may nominate more than one individual. 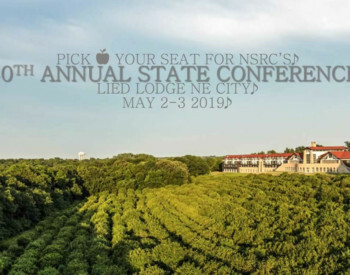 All nominees and winners will be recognized at this year’s state conference, set for April ​26-27 ​at ​The ​Graduate ​Conference ​Center ​​in Lincoln. The NSRC 2017 State Conference opens Wednesday, April 24 with a board of directors meeting at 4 p.m. The Husker Tailgate party starts at 6:30 p.m. in the Lighthouse Room. 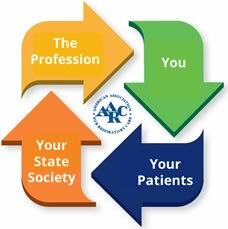 The 2017 Great Plains Respiratory Care Conference will be held April 26-28 at Country Inn & Suites By Carlson, Lincoln North.